Family Eye Care From Wichita Optometry, P.A. 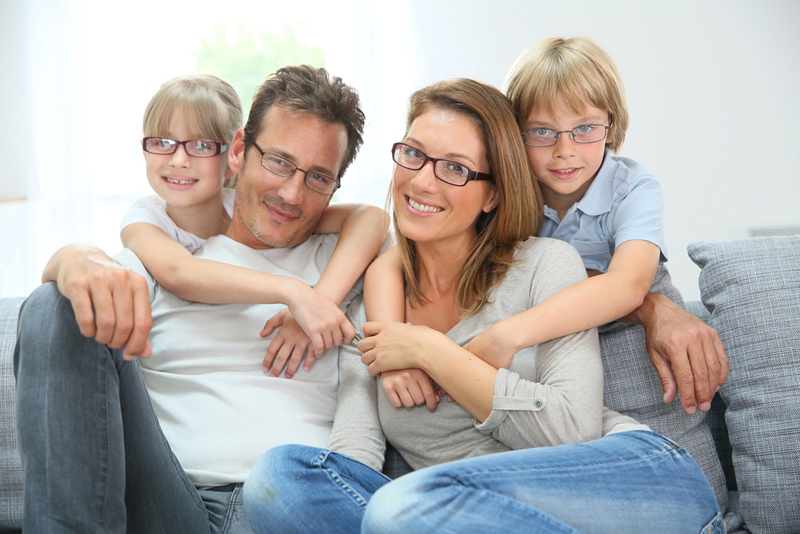 Taking care of the health of your family is likely a high priority, and part of that job is finding a good optometrist that will handle your whole family's eye care needs. At Wichita Optometry, P.A. in Wichita, we are ready to provide anyone in your family with an eye exam, whether you are looking for someone skilled in pediatrics, adult eye care, or older adult eye care. At Wichita Optometry, our youngest patients are between six and twelve months old and are participants in the InfantSEE program. With an eye exam, we can tell whether there is any developing eye disease or a delay in their visual development. Our optometrists also participate in the See to Learn program for children in preschool and early school age kids, treating conditions such as amblyopia (lazy eye) and strabismus (crossed eyes). When these conditions occur before age five, it is important that they are treated immediately to prevent permanent vision damage. Frequent eye rubbing, short attention span, and poor hand-eye coordination are all symptoms of vision problems that need prompt attention. As children get older, it is important that they continue to have regular eye exams to stay on top of any refractive errors they may have, including nearsightedness, farsightedness, and astigmatism. Vision prescriptions often level out during childhood, but that does not stop the need to receive regular eye exams. It is important for adults to continue to see our eye doctor to manage risks to their vision. By seeing our optometrist regularly, adults can get lenses that are suited to their lifestyle and can help preserve their eyes long term. Many younger adults decide that this is time to consider vision correction surgery, such as LASIK. When adults reach the age of 40 or over, there are further risks to their vision that are not present at younger ages. One of the first issues that becomes common after the age of 40 is presbyopia, where they have problems with near vision and far vision simultaneously. Most often, it becomes necessary to start wearing bifocals or trifocals. They also become more susceptible to eye conditions including dry eye syndrome, glaucoma, and cataracts. At Wichita Optometry, we regularly diagnose these issues as part of a comprehensive eye exam, and can work with you to limit any eye or vision damage with early diagnosis. Whoever in your family needs eye care, the first step to get them on the road to lifelong, quality vision care is schedule an appointment with Wichita Optometry in Wichita, KS. Contact us to schedule an appointment.